Au- Pairs range from 18-26 years old. They have at least 200 hours of childcare experience and many have much more. Our Au Pairs have minimum completion of secondary education. There is an extensive security background check and there’s no criminal history. They have to submit a certificate of health from a physician prior to leaving their country to belong to Cultural Care Au Pair. Three non-family references have been checked and verified by our staff. They are American Red Cross Certified in adult and pediatric CPR/AED and First Aid. The cost is $195.75 per week given directly to the Au Pair. The Au Pair’s can help with laundry, meal prep, clean the children’s rooms, driving the children, homework and bedtime routine. They can work split shifts, weekends and nights. We have Au Pairs from 20 different countries including Germany, Italy, Australia, South Africa, Norway, Sweden, Finland, Denmark, France, Brazil, Mexico, Austria, Argentina, Switzerland, China, Columbia, Thailand, Poland, Ireland, United Kingdom and Czech Republic. 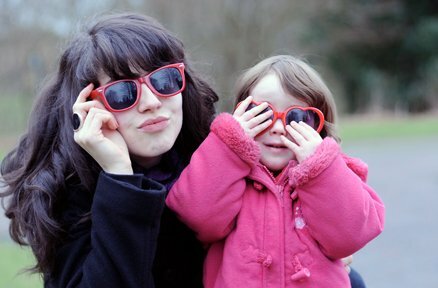 What are the advantages of hosting an au pair? They drive - so lessons, play dates and games are no problem! Sick days are no problem! They live-in! Au pairs have healthcare insurance - super coverage! New Visa rule allows au pairs to extend up to 2 years! The fabulous bonus is an enriching cultural experience for you and your whole family. Your costs once you select an au pair, are program fees and a weekly stipend paid directly to your au pair. With this weekend’s great savings, this adds up to an average cost of about $375 a week for 45 hours of flexible childcare - that is per family not per child. Comparing this to traditional childcare or a nanny, it is a great affordable childcare option.